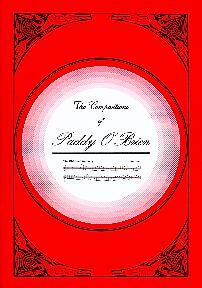 First issued in 1992, this 2nd edition consitsts of 80 tunes clearly notated, all compositions of the late Paddy O'Brien an influential Irish accordion player from Nenagh, Co. Tipperary. Paddy was the first cousin of another well known composer, fiddler Sean Ryan. A few of Paddy's tunes are widely played including Hanley's Tweed, Cooley's Hornpipe, Dinny O'Brien, Ormond Sound, The Nervous Man etc.